I was very anxious to make this a dessert I found at Seasons Harvest website. 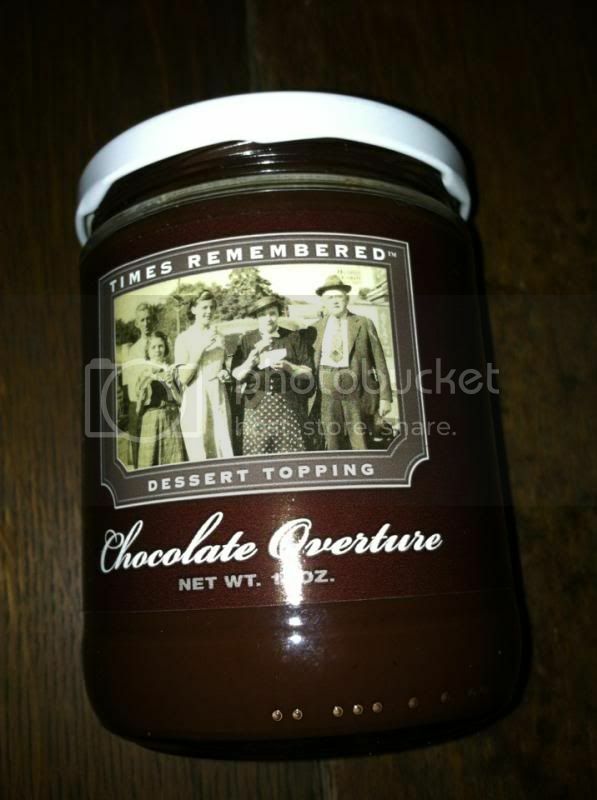 I got a jar of Chocolate Overture Dessert Sauce 16 Oz which I can use to make one of the desserts that I am eyeing with. Yes! I have another awesome tasting review from them. And I choose the Chocolate Mini Muffins, as I’ve seen the picture I am already drooling as chocolate is one of my favorite flavors. I’ve checked to make sure that aside From the dessert sauces I’ve had, I also have the rest of the ingredients. Because the recipes and ingredients are very simple, every household will definitely have an egg. The ingredients contain only 3 kinds, eggs, chocolate overture Dessert sauce, and a fresh fruit or berries. I made it for our dinner desserts. It’s something I wanted to make for my family once in awhile. I want to do something different aside from the usual desserts I made. And to my excitement over it baked I never get the chance to take a photo for my proof. Even my husband loves the chocolate overture dessert sauce that I used. He wants more of it and I told him, I will make some of this on his Birthday Party which will be in May. If I couldn’t find any closer gourmet stores here, I will definitely go to buy one online. The chocolate is overpowering, which I love. It is very tasty and the sweetness is not too much. I love to eat chocolate as much as I can, as long as the sweetness is not overtaking all the flavoring. You should try Season Harvest sauces. They are one of the best that I know of. I am delightful that they have given me the chance to experience the merchandise. Please follow them on Facebook, Twitter, and Pinterest. Experience the happiness I felt when I used to try Seasons Harvest. I also love the taste of chocolate--will be going to check this one out! I bet it was good chocolate. oh... i'm drooling already just thinking abiut the chocolate. :) checking it now! I love Season Harvest products. They have a vanilla sauce that is incredible! I love chocolate flavor too. Would love to try this sauce someday. This is something the may husband and son would like. Ohh Yum that sauce sounds delish! I'd love to try that myself, I have a cake recipe for using a whole jar of fudge sauce! I bet that chocolate would be great for it! Yum! I think we are going to try their raspberry fudge and their peanut butter chocolate fudge. These would be delicious even used as a topping to dress up plain vanilla or chocolate ice cream. Yummmm chocolate :) That is all you had to say and I was sold.